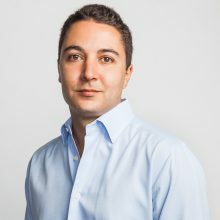 Mickey Costa is the co-founder of Access Network, a token economy dedicated to financial services for the unbanked that incentivizes a distributed community of both local mobile bank tellers and global app developers. He is also the CEO and co-founder of Atlas Money, a P2P banking platform in West Africa, backed by notable VC investors such as Draper Associates, 1517 Fund, & Partech Ventures. A serial entrepreneur dedicated to decentralizing banking and politics, Mickey has been through both Techstars and Boost VC. He holds a B.A. in History from UC-Boulder and a J.D. from George Washington Law School.